At Priority Electrical, we take pride in our personalized service, and we can work with your existing setup or redesign your entire electrical system. We stay informed of the city's electrical code, and we'll complete your wiring in a meticulous manner. If you'd like to protect your property, we can install interior or exterior lighting that enhances your landscape and ensures that your building is illuminated at all times. When you hire us to handle your electrical project, you may enjoy our: - Quick responses - High-quality workmanship - Convenient scheduling - Prompt project completions To ensure that you're totally satisfied with the end results, Priority Electrical & Solar will answer your questions before work commences, and we may have some tips that let you create the home of your dreams. 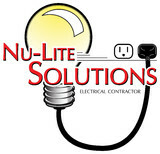 For your consultation with a Henderson, NV, electrician, call today! We have the most highly-trained, industry-certified master electricians with years of experience working for both commercial and residential clients. We are very experienced and highly qualified specialists, capable of handling any problem that requires the service of an electrician.Our price rates are very budget-friendly. We also provide emergency repairs on weekends. Chris Dodson, owner of Eco Electric, is a master electrician. Trained as an electrician in the US Navy, he began his electrical career in Las Vegas in 1993. Multi-family and commercial electrical construction have been a primary focus since the start. He also has extensive experience in single family homes, low-voltage system integration, and service electrical work. Call us today to discover why we're the area's best! Electric maintenance is not something that should be approached lightly by a homeowner. As licensed electricians with over 35 years of experience, we are trained to diagnose and repair electrical problems, which if not taken care of immediately can lead to serious electrical problems. Some of our specialties include: Panel Replacements, Wiring & Re-Wiring, Upgrades, Hot Tub and Spa Wiring, Lighting Repair, Electrical Troubleshooting and Generator Services to name a few. TBM Electric is a locally owned and operated business offering electrical services to commercial and residential clients in Henderson, NV. Our goal is to provide you with quality and unsurpassed service in a timely manner. Whatever your electrical needs are, we can provide solutions at prices you can afford. From installation to troubleshooting, we are trained and experienced to exceed your expectations. Welcome to 4U Electric – Nevada’s Commercial and Residential Electric Contractor. Our vision || Our goal and our standards are to provide excellent customer service and top-notch workmanship while staying within budget and job schedule. Over the years, our management team has learned that a path to a smooth and successful construction project depends not only on quality of work, but also upon the relationship between the Owner (manager) and the Contractor he/she chooses. 4U Electric believes in the concept, “The Right Man for the Job.” We understand each team member’s strengths and utilize them accordingly. The positive expertise of our architectural engineers, mechanical engineers, and lighting designers, combined with diligence of understanding our client’s project disciplines, enables us to meet expectations. This provides assurance for both the Owner and the Contractor. Website: <a rel="nofollow" target="_blank" href="http://www.electricianservicerepairsemergencylasvegassummerlin.com">http://www.electricianservicerepairsemergencylasvegassummerlin.com</a> We are your local electricians here in Las Vegas & Summerlin and are looking forward to providing you with the best in electrical services here in Southern Nevada. We thank you for stopping by Las Vegas electricians website and giving us a look and seeing what kind of services we might be able to offer you in the future regarding lighting, wiring and circuit breakers plus much more. We have three locations around town and one of our locations is open 24 hours a day for emergency services to serve you better. Please give any one of our three locations of calls today or send us an email and we will get you taken care of promptly and correctly the first time. Design & Build turnkey projects, Pre-designed projects, Interdisciplinary team handles single to multi-site installations. Pacific Electric, Inc., utilizes a fully computerized environment to ensure accurate, timely, and consistent quality in estimating, project management, billing, purchasing, and payroll activities. We are able to provide quality code and value engineering, as well as design engineering. Should you require the services of an electrical contractor for either commercial, residential projects and design build we would be pleased to meet with you and discuss your electrical and lighting needs. We may be able to suggest items that will produce a cost savings for your project. We can also help in the approval process for your project by providing such things as load calculations, panel schedules, product information, etc. 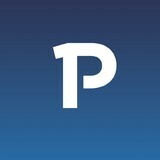 I am James Voks working with QuickBooks Support as a Sr. Consultant. We provide complete technical support to QuickBooks users. If you are facing trouble while using QuickBooks no ought to worry just contact with our specialist. Dial toll-free number +1-855-888-1002 and get instant help. As a licensed Master Electrician with over 15 years of experience trouble-shooting, repairing, maintaining and installing, Ace Electric is equipped to serve clients safely and efficiently, and we are committed to safeguarding homes and businesses while enhancing comfort and productivity. VIP-BEST Las Vegas Electrician offers professional electrical services to the Las Vegas valley community, both home owners and business owners. With a team that is highly qualified and professional, we ensure quality work with the emphasis on safety for both homes and commercial property.Installation or repairs of wiring according to state and local laws ensures your home or business will be a safe and secure environment. At VIP-BEST Las Vegas Electrician, we offer fuse box upgrades along with full rewiring which not only means your safety but also the safety of any electronics that are being used on the property. We offer lighting services as well for both the interior and exterior of your home or commercial properties. Lighting services not only includes the element of attaching the lights and wiring them properly but it also involves the process of designing the placement, both inside and outside, to your home or commercial property. What do licensed Las Vegas electricians do? An electrical contractor plans, installs and repairs wiring in structures. He or she works closely with the home’s general contractor or remodeling contractor to determine the specific electrical needs for the project and to ensure that the wiring will meet Las Vegas, NV building codes. An electrical contractor’s job also includes installing and repairing fixtures, switches and other visible components of electrical systems. With today’s technological needs and advances, many electricians in Las Vegas, NV also are trained to install fiber optic and coaxial cables for electronic equipment. Certain electrical companies may design and install data systems and wire for security features such as alarms too. Some Las Vegas electrical contractors specialize in specific areas, such as HVAC, low-voltage appliances and systems and more, so be sure to ask about their training to see if it fits your project needs. 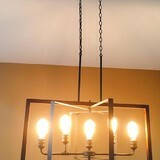 Find a certified Las Vegas electrician on Houzz. Narrow your search in the Professionals section of the website to Las Vegas, NV electrical contractors. Here are some related professionals and vendors to complement the work of electricians: Lighting Showrooms & Sales, General Contractors, Solar Energy Contractors, Heating & Cooling Sales & Repair.